The annual Tour de Georgia cycling event and rolling festival will continue for a sixth season, April 21-27, 2008 and will be reorganized under new leadership, it was announced today by Lt. Governor Casey Cagle. Owned by the not-for-profit Georgia Partnership for Economic Development (GPED), the event will now be governed by a reconstituted Board of Directors with the Lt. Governor serving as Chairman. Medalist Sports will continue as the logistics and operations management company for the Tour, led by Chris Aronhalt and Jim Birrell. Elizabeth Dewberry, who has worked with Cagle for five years, will be named as Executive Director of the Tour de Georgia and will manage the marketing, business operations and strategic partnerships. The current GPED Board is taking action to ratify these changes. "The Tour de Georgia is an internationally known sporting event. It is the largest cycling race in the U.S. occurring just before the Tour de France. The Tour represents an excellent opportunity to bring the world to our state  and that is what we intend to do. Through aggressive marketing and strategic partnerships, we will add this event to the ranks of historic Georgia sporting events like The Masters and the Peachtree Road Race," said Cagle, who was elected as Lt. Governor in 2006. "The cities we will select this year will exemplify all the special qualities and Southern hospitality that make Georgia the greatest state in America. The race and activities focused around it in every community will encourage others to visit our state again and again  having a strong impact on our state's tourism development and overall economy." The Tour de Georgia has enjoyed great success since its inception in 2003, attracting 2.8 million spectators to communities across the state and generating $148 million in economic impact in those five years. Last year the Tour expanded from six to seven days, allowing more communities to take part in the festivities. The week-long event will maintain its traditional "Tour de France tune-up" slot on the UCI international cycling calendar as a 2. HC (Hors Categorie) professional event during the third week of April. 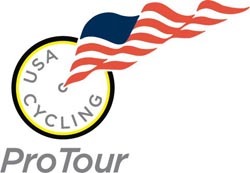 It is also part of the USA Cycling Professional Tour. The event has gained international acclaim for the strong field of cyclists who compete each spring, including seven-time Tour de France champion Lance Armstrong who competed in Georgia twice, and winning the overall title in 2004. "The Tour de Georgia has established itself as one of the premier events for professional cyclists and for cycling fans in North America," stated Levi Leipheimer, current National Road Race Champion (USA Cycling Professional Championships) and 3rd Overall in the 2007 Tour de France. "Personally, I enjoy participating in the Tour de Georgia as it is perfectly placed in the world cycling calendar in terms of preparation for the Tour de France. The challenging courses, enthusiastic crowds and southern hospitality are the best of any North American race." The Tour de Georgia, owned by GPED, a 501c6 organization developed by the state's sales and marketing division, Georgia Department of Economic Development. In 2006 the Tour faced financial challenges that were resolved only weeks before the race commenced. Recognizing that this event was indeed a strong driver for economic impact and tourism, the office of the Lt. Governor is taking initiative to support the Tour de Georgia as a valued sports property for the state. The reorganization will focus on increasing multi-year business partnerships with the event and creating year-round publicity. The challenging route for the sixth annual Tour de Georgia is expected to again cover over 650 miles of scenic roadways and communities across Georgia. Lt. Governor Cagle, in partnership with Medalist Sports, will announce the official route and Host Venues on November 14. The Tour de Georgia is North America's premier, professional cycling event and rolling festival of community activities. The Tour was first held in 2003 and has become a spring tradition with a varying route of over 650 miles of racing. Over 2.8 million spectators have traveled to Georgia to watch the event in the past five years, and direct economic impact has totaled over $148 million. The event is sanctioned by the Union Cycliste Internationale (2.HC ranking), and is part of the USA Cycling Professional Tour USA Cycling, Inc., making the event one of the top stage races for elite athletes around the world. The Tour de Georgia is operated by a Board of Directors and managed by Medalist Sports (www.medalistsports.com). Route maps, host venue information, merchandise offerings and sponsor news will soon be available for the 2008 event at the official website, www.tourdegeorgia.com.